The ACCA Hong Kong Community Day 2019 was successfully held on 13 January 2019. 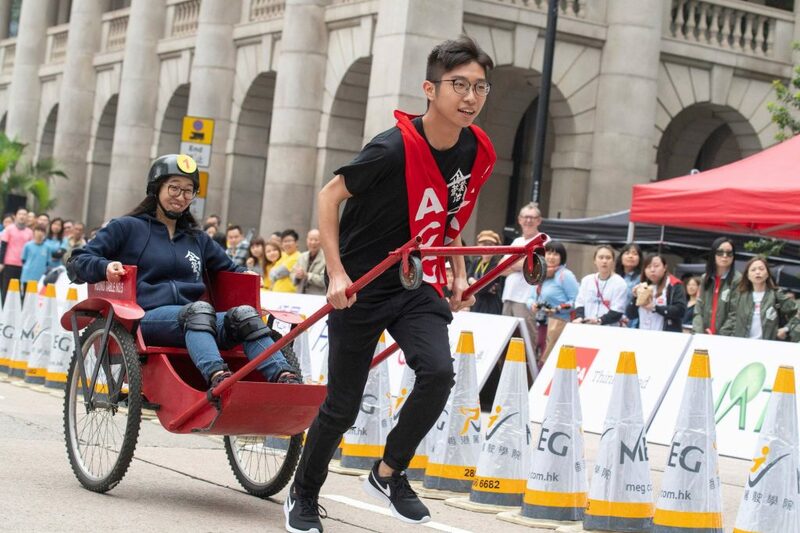 HSUHK Student Association of Corporate Governance (SACG) was invited to form a rickshaw team to compete for the Chairman Tertiary Cup, one of the highlights of the event. This year, the event was themed in “Embracing a Colourful Future with Hope” with a view to bring love and hope to the community. We are delighted to see our students proactively engaged in this profoundly meaningful event and learned to be responsible and altruistic social citizens. SACG representatives participated in rickshaw race.